In August, knife-edge diplomacy between New Delhi and Beijing managed to defuse a tense 71-day confrontation between border troops at Doklam, near the border tri-junction between India, China and Bhutan. But now, India is readying for possible Chinese retaliation in Uttarakhand, on the border tri-junction of India, China and Nepal. 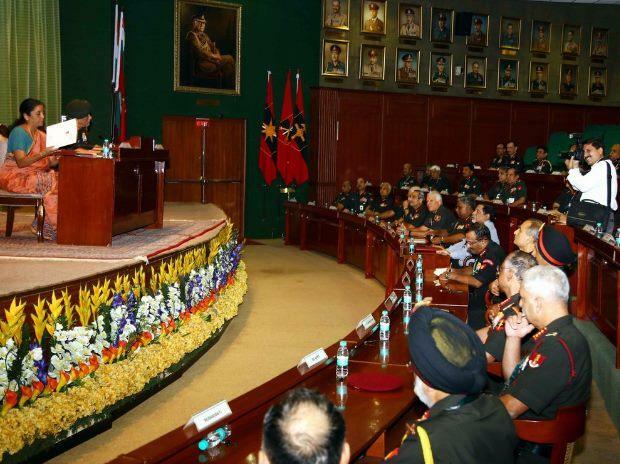 This week, an on-going biannual conference of top army commanders in New Delhi discussed reinforcing the army in what is called the Central Sector – a 545-kilometre stretch of border that separates Tibet from Himachal Pradesh and Uttarakhand, ending at the Nepal tri-junction. The generals also ordered road building to be stepped up for better access to four critical border passes. “It has been decided that there would be a concerted heft towards road construction activities in this Sector. To that end, four passes to Niti, Lipulekh, Thangla-1 and Tsangchokla have been decided to be connected by [road by] 2020 on priority”, said an army statement, read out by a three-star general in New Delhi today. As elsewhere on the border, China has already built all-weather roads to these passes, emanating from the Western Highway that links Lhasa with Xinjiang. This allows China to move troops to these flashpoints more quickly than India can. In India, three existing main roads from the Indo-Gangetic plain must wind 300-400 kilometres to the border through landslide prone moutainside. These roads are: from Kalka – Shipki La; from Rishikesh – Mana Pass; and one to Dharchu La. The generals also discussed interlinking these border passes with lateral branch roads and additional roads linking the Central Sector better with the plains. “Road maps for intra sector connectivity within [the] Central Sector and inter-sector connectivity with neighbouring areas have been deliberated [upon]”, said the army statement today. Besides improving road access, the army commanders discussed a plan to pump more soldiers into the Central Sector. This would be done under the army’s on-going Accretion of Forces initiative, under which a new corps headquarters has been raised in Panagarh, two mountain divisions (40,000 soldiers) in Pathankot and West Bengal, and an armoured brigade each for Ladakh and the Sikkim-West Bengal areas. “Organisation changes of some of the [army] formations have also been examined for capability enhancement”, stated the spokesperson blandly. So far, the Central Sector has never seen active hostilities, remaining peaceful even through the 1962 war that saw pitched battles in the Western Sector (Ladakh), and the Eastern Sector (Arunachal Pradesh). After Sikkim became a part of India in 1975, the Sikkim-Tibet border was included in the Eastern Sector. 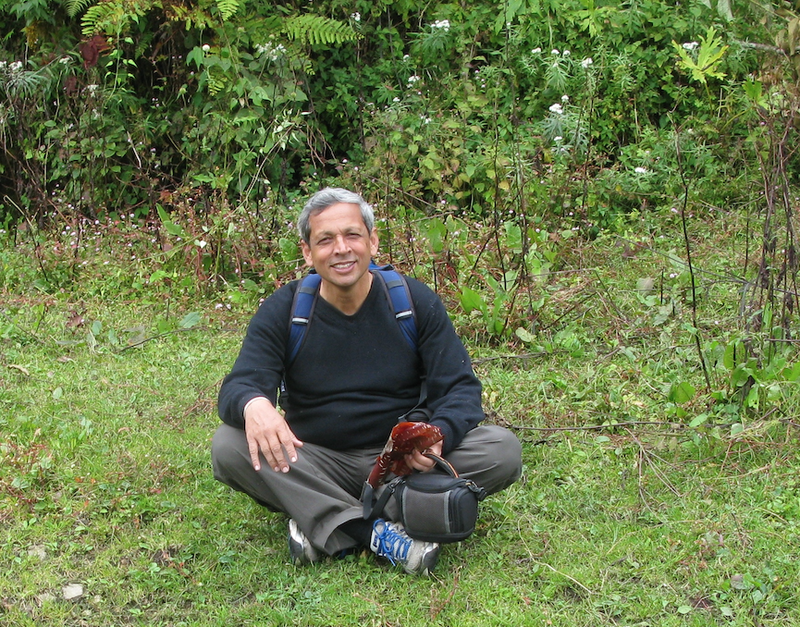 A reason for the Central Sector having remained peaceful is the towering Himalayan watershed that defines the border. Occupying territory across the high border ridgeline would leave defenders cut off by snow in winter. That has not stopped China from contesting it in some places. Barahoti sees patrol confrontations regularly. China also lays claim to grazing grounds at Harsil (near Uttarkashi) and Rimkhim (near Joshimath) which are well on the Indian side of the border. Highlighting the more benign nature of the dispute in the Central Sector, the two sides have agreed in ongoing Sino-Indian border talks to exchange maps of this area, marked with their perceptions of the border. In contrast, Beijing is unwilling to exchange similarly marked maps in the Eastern and Western Sectors. Even going by China’s territorial claims, the Central Sector is a small part of the overall dispute. In the Western Sector, China claims about 35,000 square kilometres of territory that India regards as its own, including the vast Aksai Chin plateau. In the Eastern Sector, China claims 90,000 square kilometres of Indian-held territory, including much of Arunachal Pradesh. In the Central Sector, however, the dispute is over 2,000 square kilometres, in eight separate areas. Even so, with tensions rising on the border, the performance of the Border Roads Organisation (BRO) is coming under the scanner. According to figures tabled in parliament on August 8, BRO has managed to construct only 33, 49 and 34 kilometres of roads in Uttarakhand in 2014-15, 2015-16 and 2016-17 respectively. In the same period, the BRO built 154, 130 and 154 kilometres of roads in Jammu & Kashmir; and 99, 103 and 100 kilometres of roads in Arunachal Pradesh. The BRO’s “roll-on” plan for the period 2015-20 envisages building/improving 519 roads, measuring 22,225 kilometres. Of these, 61 roads, measuring 3,417 kilometres, are designated strategic Indo-China Border Roads (ICBR). If the image placed on top of this article is one of the conference, it says it all. The RM is seated on a stage, while the army cdrs are the eager-eyed audience, waiting for gems to fall. Not unlike a dignitary addressing a bunch of school boys. Is OK for a lecture, but two way communication of ideas do not take place in such a setting. The threat is for real...Xi Jinping will come hard at India after communist party congress.. The Central Sector of India -Tibet LAC has had history of conflict between the bordering regions of India and Tibet. Earlier in the history there have been disputes over taxation and grazing rights of Tibetan nomads coming across and Tibatan tribes settled on Southern side of high peaks. The four / six passes mentioned had been used as trading routes since ages. Erstwhile Mahrajas of Garhwal and Kumaon have had military excursions into Tibet over these disputes many times in history with favorable outcomes. Indian claims here are well backed up with historical records. This is perhaps the only sector on LAC which contains hefty high rising Himalayan peaks and glaciers, difficult terrain and long unconnected river vallies. The sector assumes gigantic significance for India considering that four most important Hindu pilgrimage centers lie in this border region, that is Yamnotri, Gangotri, Badrinath and Kaedarnath besides the route to Kailash Mansarovar. So far geography has protected these as all lie in different unconnected vallies. Chinese capturing any of these areas or intercepting communications to these may be unthinkable for Indians. Considering the present state of affairs, this sector thus needs a little more attention particularly in areas of "development" communications and forward posturing as the upper / bordering areas of the sector are more vulnerable to intrusions and occupation. Have you ever read 'Six Blinds of Hindustan" ? You portray exactly as one of them ! !